The 'creative' pillar of the brand new Jordan WINGS for the Future program is on full display at Westfield Culver City Mall. 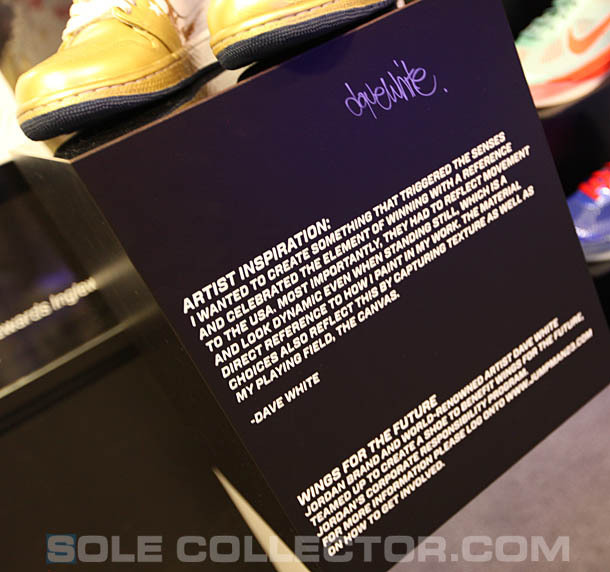 Last week, Sole Collector officially unveiled the Air Jordan I Retro DW designed by UK artist Dave White. Tied into the 'creativity' pillar of the Jordan Brand's WINGS for the Future program, the project allowed White to create a unique artistic sneaker that celebrated the spirit of winning, all for the benefit of education and charity. 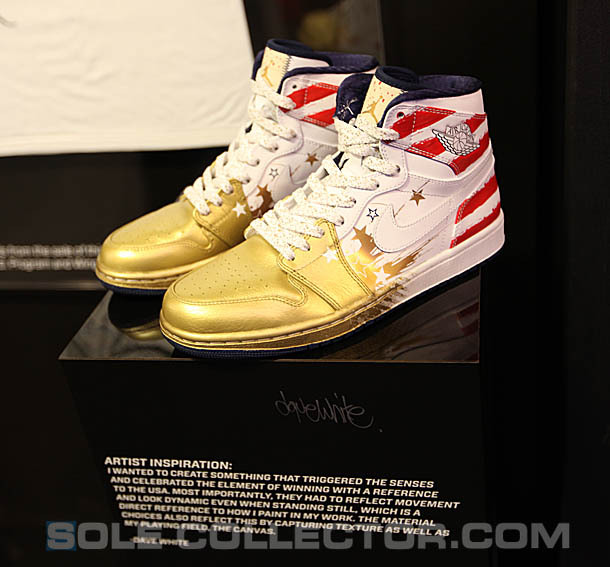 If you happen to stop by the Footaction store at Westfield Culver City Mall in Los Angeles, you'll be able to check out the Jordan I DW in person. 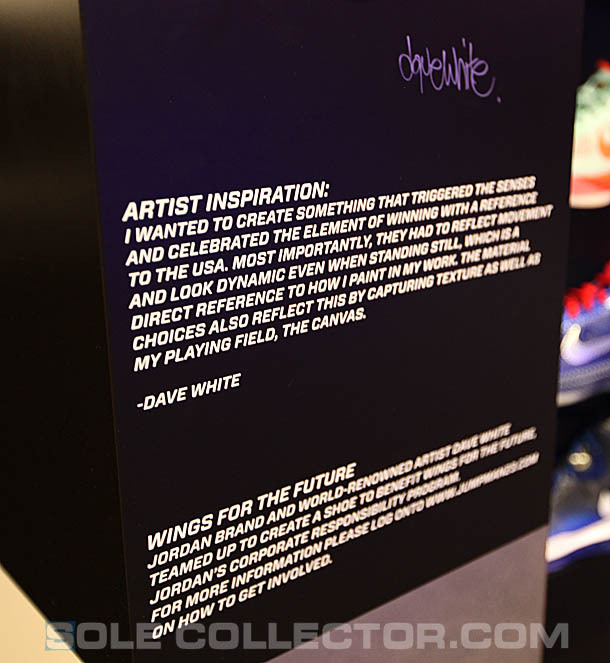 The shoes are perched atop a display block, with an 'Artist Inspiration' quote from Dave White and blurb about WINGS for the Future written below. 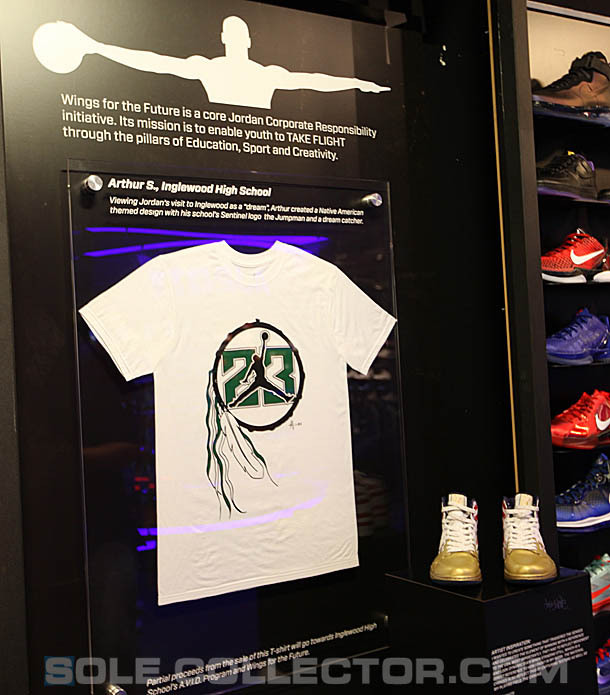 Speaking of WINGS for the Future, as part of their six-week partnership with Inglewood High, the new Jordan Brand charity program once again encouraged young adults to channel their inner-creativity by launching a t-shirt design contest for students. The winning t-shirt design would go on to be produced and sold at retailers like Footaction, with proceeds going to Inglewood High and WINGS. 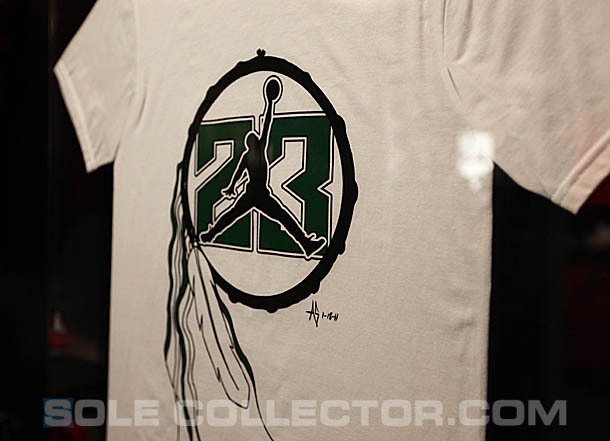 Below is a photo of the design contest winner, Arthur Salvador, who used a Native American dreamcatcher graphic on the front of his shirt to describe what it felt like to have the Jordan Brand help his school. 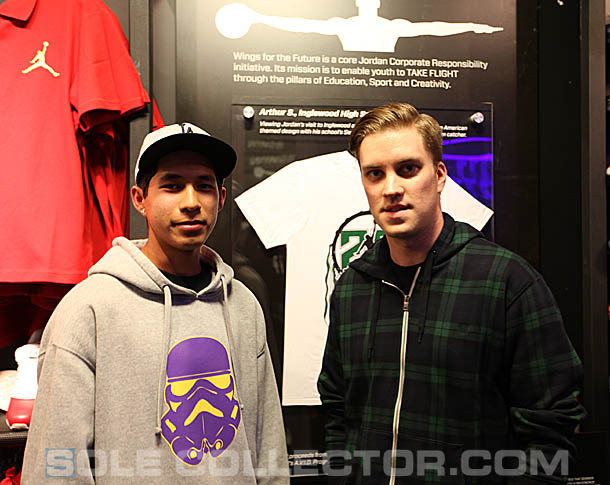 You can purchase Arthur's shirt at the Culver City Mall Footaction.